1 : start by adding some dry shampoo and texture spray for lift. 2 : clip in extensions for volume and lenght. 3 : use a wand hair curler to add soft waves, not curling to tight. 4 : clip in more extensions to each layer of hair. 5 : repeat curls & spray light hair spray. 6 : leave the ends a bit straight so the look is soft and airy. 7 : lightly finger comb hair up-ward for more added texture. 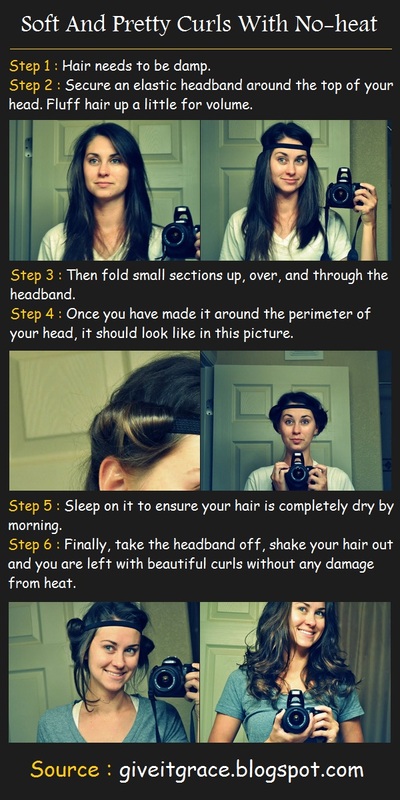 8 : leave the bangs soft and curling it only at the tips. 9 : finish the look with a shine spray.